Newcastle will be losing at least two strikers in the summer, Shola Ameobi and Loic Remy, and maybe Papiss Cisse too, so we expect Newcastle to be linked with a number of strikers from now through the end of the upcoming summer transfer window, which will be an important one for Newcastle United. And sure enough there’s a report in insidefutbol.com today, that says Newcastle are interested in 24 year-old Metz striker Diafra Sakho. 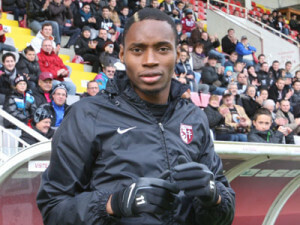 The 24-year-old 6′ tall striker was born in Guédiawaye in Senegal, and joined Metz in the summer of 2009, and so far this season he has scored 12 goals in just 21 appearances for Metz, who are top of the French second division. So it will be huge jump in class for Diafra to come from playing in the French second division to the Premier League, and over his career at Metz he has played 75 times and hit only 20 goals for his French club. It wouldn’t surprise us if Newcastle are interested in this lad, but it’s only been this season he has been scoring goals, and there are a number of other clubs, apart from Newcastle, who are keeping tabs on the striker. On the web-site transfermarkt.com he is listed at being worth around €2M – and Newcastle can at least afford that fee. He has never played any International football for Senegal. I don’t mean the whole squad of over 30s, maybe just 2 or 3 but not in shola calibre. I know re-sell value is 0, but you could get them cheap even for free to help the squad play better to achieve more TV money. If with 2 or 3 over 30?s cost like 2 or 3 million can help us get 20 or 40million from where we finish in the league, I’ll say that is good return. Tevez did not refuse to come off the bench. He refused tk warm up because he had literally just finnished doing so. Mankini took as much of a strop at him. Having said that, the guy does not exactly have a sparkling attitude. I think some of it may stem from his life before football stardom. That scar round his neck is not from wearing his bow tie too tight! Carrying on from previous thread…. Yes, Pardew both publicly called them out, and sent them into the wilderness. He wanted to make a point to Ashley, and they were handy fall guys too. It was opportunistic and ruthless, and at odds with the oft-stated claim that he is a canny man-manager. I agree Santon, players hit their peak at later times now and play deep in to their 30s much more often that they used to. The model that Arsenal have has proved to work, only offering 1 year deals to players over 30 and that can limit ‘failures’ such as Campbell etc. He always maintained he would still have played, but mankini wouldn’t put him on for not warming up. Both parties in this affair eventually accepted they could have behaved diffetently. Tevez only effed off to Argybargy becausd Mankini said he would never pick him again. Two big arrogant personalties clashing. I think it would have been very different undet their current boss. Tevez clearly has a bad attitude no doubt about that. His scar clearly was made before he hit the big time in fact a long time before he hit the big time, even before he could walk. He was 10 months old when boiling water was spilled onto him -thus causing the scarring. Bad attitude at 10 months old. mancini was like that but imagine if he had done that when at man utd, not a chance he’d have played again for them. He was lucky sit needed him back in the team. I still think the guy is a grade A @#! !$# though…top player but horrid attitude when off the pitch. But it’s what you put up with for the quality and effort he gives on the pitch. Still wouldn’t take his word for anything. BandB – Pardew didn’t hang the kids out to dry at all, in fact he gave them plenty of praise throughout the season. But sometimes instead of always building players up you have to criticize them the odd time if that is how you can get your message across to them that they need to do better. It seems you have conveniently forgotten all the times he boosted their confidence as well. agree with those outs….could possibly add others to that like tiote if rumours to man utd are true. 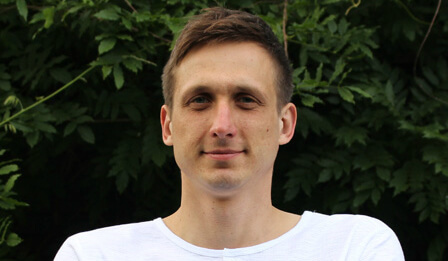 I do like luuk, think he held the ball well when played into him, laid it off for those around him and then found space….just look very rusty with shooting and the pace of the game, I think he’ll get there though. Go look up Pardew’s post-match comments following the FA Cup defeat to Brighton last season. He most certainly did hang them out to dry. also not sure wether cabaye will try get deb’s to join him but not sure if i’m just panicing lol. Does he have dual citizenship? If he hasn’t played for Senegal, will he get a work permit? Or is he married to an EU citizen? He criticized them once, how is that hanging them out to dry? Just because they are young does that mean they are beyond any criticism? I thought he handled them perfectly, you can’t always be praising players if they are not getting the message, sometimes they need a kick up the backside. It’s hardly hanging them out to dry. But why not check out the numerous times he praised them. He may have his faults but man-management is one of his better points. he isn’t a good man manager though, plenty players have told damning stories about the man. As for the kids he hasn’t got a clue how to bring them through, 5 mins in a game out of position isn’t doing anyone any good. Yeah he is an utter (collection of symbols). I would have blamed him totally had it been just his word. It is only because Mankini admited some responsibility in it which makes me give him any benifit of the doubt. is that what the scar is?? It looks like he was hung or something!? Transfer Sage – Aside from the fact that Marveaux had been left out in the cold, who of our players has come out and had a go at him? I’m not talking about what he did before he got here, I couldn’t care less about that. But while he has been here he has generally been really good with his handling of the players. And I would rather he played senior pros instead of throwing kids in, unless they are good enough. fair enough then, but i never trust much of what i hear from players and managers as they both try to protect themselves in terms of reputation but also legally, so it’s impossible to get to the bottom of a anything really. I just know tevez has done other daft things which makes me not want to listen to a word he says. I don’t criticize Pardew often. I have praised him on occasion. So using the logic of your own argument, I am happy to stand by my guns. Then again, Tuffs only comment has been the slightly stroppy attempt at belittlement. I suspect he googled teves’ scar in the hope of finding a reason to have a go at someone. Jonas, said he wasn’t told why but to just find another club, weeks before pardew said in the paper he had no problem with him. Obertan stormed off as he felt unfairly treat. There are plenty stories. As for kids, you need to give some of them a go, why pull them from the development teams to make them travel and not even make the bench or have no chance to get on. We have some decent kids, he played them a few games then discarded them. sammy ameobi isn’t fantastic but early season looked like he offered a lot, then he disappeared until the norwich game for some reason, even fell behind obertan. who do you think he has been good with ? I know you don’t care about before but he had a big falling out with players at southampton, still counts against the man. From a top level, proven coach where their training methods work I’d be a bit more willing to let a manager make an example of the players in public after Brighton. However, there’s Poyet getting arguably the worst team in the league to go on a good run of form whilst also beating Pardew for a fourth time. Pardew is most certainly not in that bracket of of top level and proven. Yes, the young players should hold some responsibility, of course they should, but whether silver tongue realises it or not, it is his job to get them to perform both on a tactical and motivational level. Just like with the first team, those youngsters aren’t as bad as he makes them look. When the going gets tough, Pardew deflects criticism from himself to the nearest thing he can, or simply tells you the opposite of what happened to make it look the part. If it ain’t one thing he’ll find another. I always thought the idea of going to low level clubs was because they focus on basics, and thus it would help cut out “schoolboy errors”. Tav was prone to those, as are many players his age at the time. TS…so it is this season? I wasn’t really sure, but thanks for sharing mate! Who is this old poster who has taken on the moniker “Rebbeca “? Markaccus – yes Tevez was apparently accidentally scalded when he was a baby -hence all the scarring to his face neck. He apparently casts aside plastic sugery -coming out with thing like accept me who I am etc etc. One could be forgiven in assuming that his scarring was the result of a feud in some slum in Argentina.